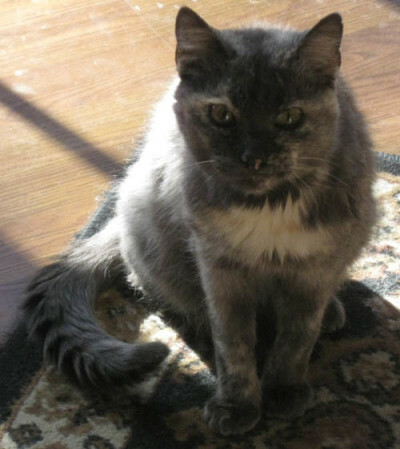 This kitty is looking for a new home, due to her parents being placed in Assisted Living after recent illnesses, and no longer being able to care for her and her sister, Elsie. Little long hair looks like a German Rex. Real sweet. Loves affection and laps. Never heard a cat purr louder when she is happy. She eats wet and/or dry food. She is 5-6 years old. Has good litter habits and gets along with other cats. Clawed but does not scratch.